Waimea Canyon on the island of Kauai is one of the most spectacular sights in all of the islands. It is the largest canyon in the Pacific, measuring 10 miles long, 2 mile wide, and over 3500 feet deep. It was carved by rivers and floods over thousands of years, from Mt. Waialeale. The canyon walls distinctly portray different volcanic eruptions and lava flows over the centuries. While much smaller than the Grand Canyon, it is beautiful, with great viewpoints and hiking trails. Like the other Hawaiian islands, Kauai is the top of an enormous volcano rising from the ocean floor. With lava flows dated to about 5 million years ago, Kauai is the oldest of the large Hawaiian islands. Roughly 4 million years ago, while Kauai was still erupting almost continuously, a portion of the island collapsed. This collapse formed a depression, which then filled with lava flows. 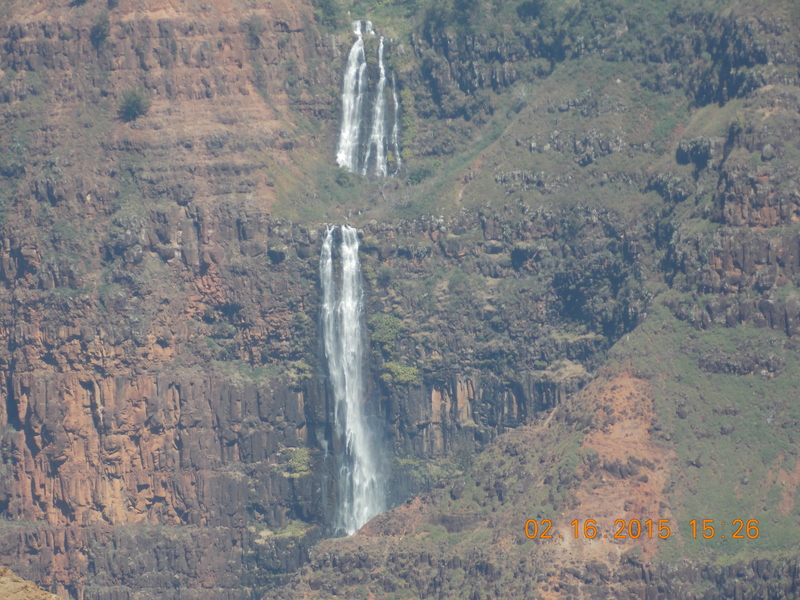 Rainwater from Mt Waialeale eroded one edge of the canyon until it collapsed. 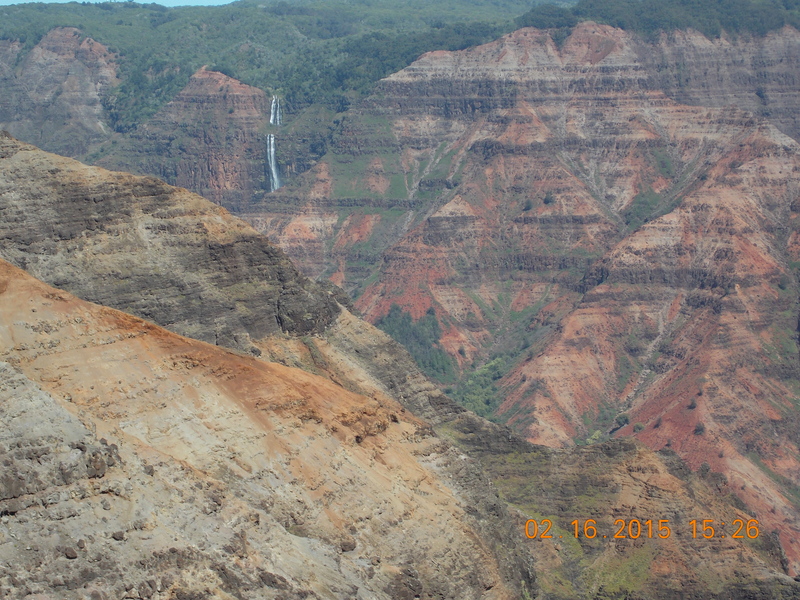 The 1866 acres are protected as Waimea Canyon State Park. Personally, I think it should get Federal status. My friends, Rey and Corinne, often hike into the canyon to hunt, both with guns and bow and arrow. They have captured wild boar, deer, and wild turkey. We hope to participate in one of these hunts someday soon. And enjoy the subsequent barbecue and feast. You must take a day trip here when you visit Kauai. I guarantee you will love it. What’s one tank of gas in exchange for great views and a wonderful and memorable day trip? It is as spectacular in its own way as the Grand Canyon, only without the crowds and the pollution. Be sure to stop in Hanapepe, a little old style Hawaiian town. It is home to the Kauai Cookie Factory store. Bargains, and lots of good Kauai cookies. A big surprise awaits you at the end of the road. Walk to the end of the trail. It is simply spectacular and real.